Furnished One Bedroom Condo for rent in downtown Vancouver, BC. 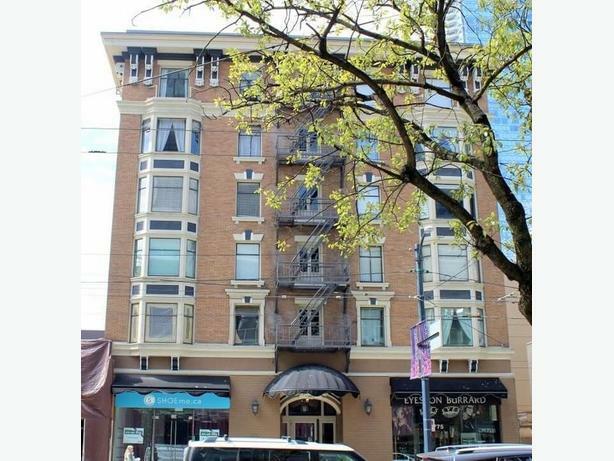 Renovated, elegant one-bedroom condo, located in a restored heritage building. Professionally decorated to provide luxurious comfort with stylish furnishings and attention to detail. The living room has attractive built-in shelving and wonderful window seating. Beautiful hardwood floors that run throughout the condo. Comfortable bedroom with a queen size bed with ample closet space. The bathroom has a shower tub combination and there is a storage closet in the hall. The fully equipped kitchen has a beautiful brick wall with a direct view of the city. Centrally located on Burrard Street and famous Robson Street. Enjoy our city's finest restaurants such as Coast, Black & Blue and Kobe ... just to name a few. Bus and Skytrain are just 1 block away. Cats might be permitted. Please inquire. Please quote reference #783 when inquiring about the property.